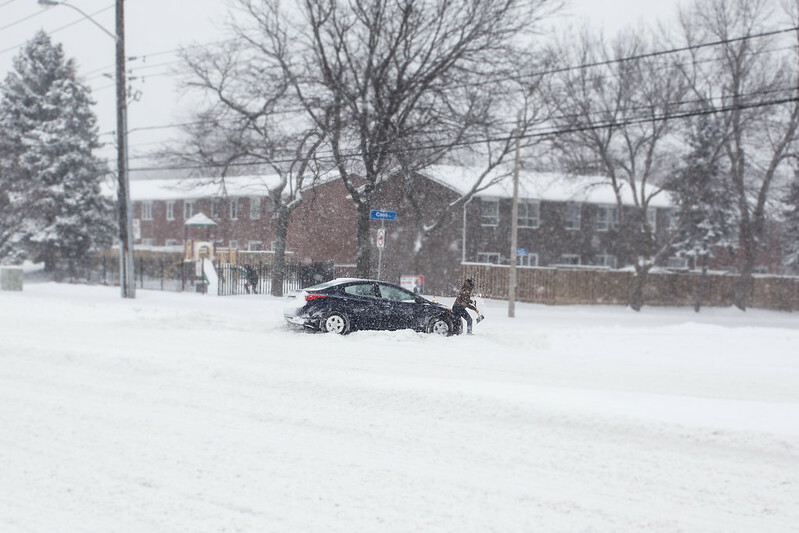 A commuter is digging herself out as she turns into a snowy side street. I wasn't a jerk, so i helped her dig out after i took this photo. One of 3 people i helped that day as i was walking around taking photos. It was a big storm that resulted in 12 hours of constant snow.